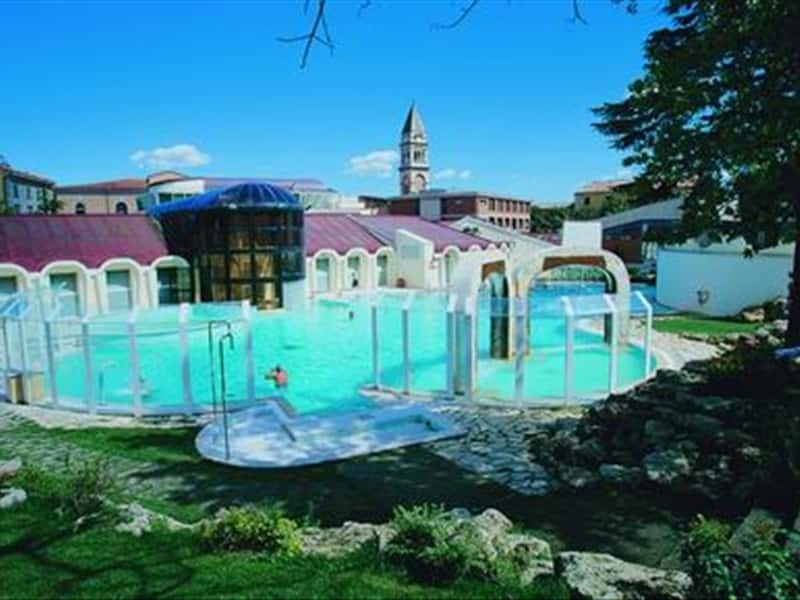 Casciana Terme is a small town in the province of Pisa, set in the very heart of the Pisan hills, known all over the world for the benefic properties of its thermal waters, appreciated since the Roman period. The development of the thermal activity was due to Matilde di Canossa, to whom one of the two springs is dedicated: according to legend the noble woman had a blackbird that was very ill and that it recovered after it submerged in the hot waters of the thermal springs near the house of the countess. Until the XII century, the territory was included in the estate of Count Ugone. Then, it was given to the church of Morrona and to the Camaldolese friars, until the latter ceded it to the archbishopric of Pisa in 1135. Lastly, in 1515, Casciana entered the Republic of Florence. Among the building of religious and architectural interest, we have to mention the XIV century Church of San Martino, totally refurbished during the XIX century, which preserves a venerated crucifix, the Church of Santa Maria Assunta, documented since 840, with a beautiful painting of Madonna delle Grazie by Maestro di San Torpè, the small Romanesque style Church of San Quirico and Giulitta, the Oratory of Madonna dei Sette Dolori, the Gello Mattaccino castle and the Perlascio one. This town web page has been visited 41,162 times.